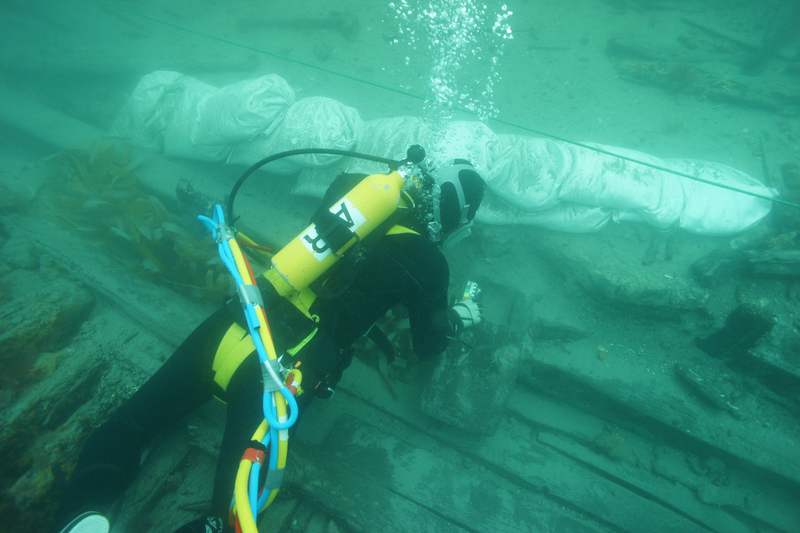 The Australian Research Council (ARC) has recently awarded a large Linkage Grant to investigate the excavation, reburial and in-situ preservation of shipwrecks and their associated artefacts, which are at risk. The project will focus on the early Australian-built wooden coastal trader Clarence, wrecked near St Leonards in Port Phillip Bay in 1850. The project will run for three years and involve fieldwork with investigators from the University of Western Australia (UWA), the Australian National University (ANU), Monash University and the Western Australian Museum (WAM), supported by research associates and practitioners from the ten partner organisations, students and volunteers. Heritage Victoria (Victorian Department of Transport, Planning and Local Infrastructure) has provided the use of its boat (Trim) during both lead-up work and the fieldwork (see image below). 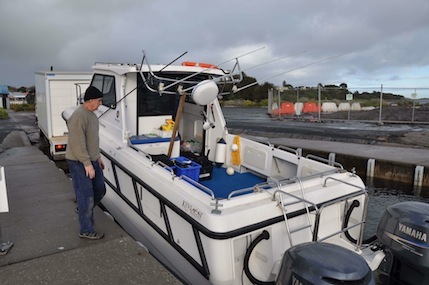 Research Associate Peter Harvey about to board Heritage Victoria’s boat Trim during a preliminary visit to Clarence in 2011. 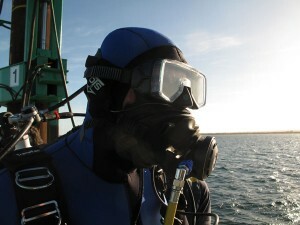 The first season of excavation on the Clarence took place from 16 April to 12 May 2012 from a jack-up barge located over the site. Site monitoring will take place periodically for the duration of the project; further excavation seasons are subject to additional funding being available. This project website will provide educational information about the excavation, and daily updates will be made via weblog during the excavation. For more information about the project, contact Cassandra Philippou, Project Manager.